Consider this. 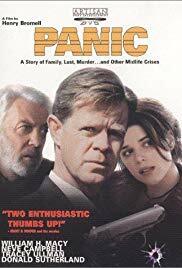 Here we have a great movie from 2000, starring William H. Macy, Donald Sutherland, Tracy Ullman, Neve Campbell, and John Ritter — so why hadn’t I ever heard of it before? Oh well, better late than never. It’s a completely absorbing but troubling film, not without humor but certainly not a comedy, black or otherwise. Not for you if you want feel-good movies. But it’s oh so well done, capturing all sorts of unusual family dynamics and individual angst. There’s no point in my repeating what Roger Ebert wrote, so go read his review. I graduated top of my class at Harvard Law at 21, and I’ve been working as an attorney since at Capitol Hill in D.C., and then at one of the top firms in Hong Kong. I was really fortunate to be at the Justice Department in Washington, too. Honestly, I just feel so lucky to have such interesting experiences. From Hollywood to Harvard, from the Boston bombing prosecution to ISIS prosecutions to actually being able to write some laws in the Philippines, I’m just really incredibly grateful for all these great opportunities. I actually have been engaged in the entertainment industry. I spent some time in the MPAA, and I’ve been working on some of the biggest entertainment impact deals in Asia as an attorney.